Revisiting the family budget. 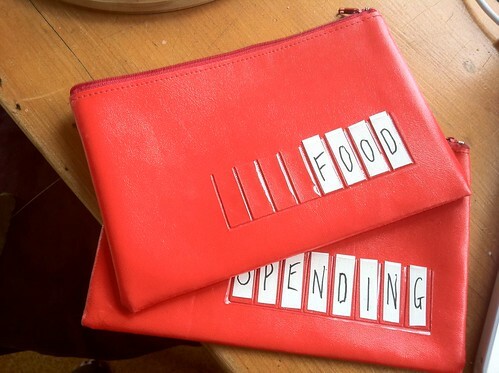 While I'm at it, I'm working on a meal plan too and thinking of ways to be more frugal. We're going all old school and trying to use cash again. A couple of cash budget pouches should do the trick. They're not as lovely as some I've seen in blogland. Not handmade, but repurposed. Hey I'm time poor and hopefully one day not quite so cash poor! The budget pouches are a great idea, too. Mum used to do this when we were kids & I've been pondering doing the same. Too easy to play Robin Hood when it's all in one account. I saw some wonderful handmade pouches on a blog too, but i have zero idea how to put in a zip so did what you did PENCIL CASES!Our old system (zip lock bags) was a little shabby now so these were a step up! 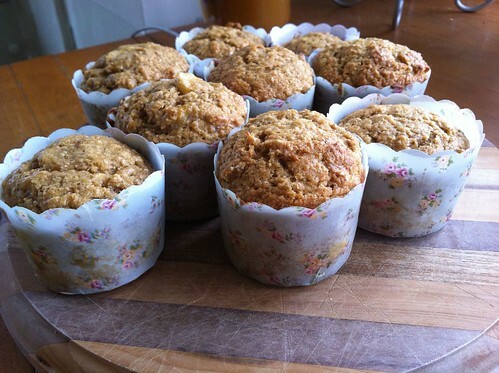 Love the look of the muffins, they sound sweet and yummy! Yum scrummy muffins in those gorgeous muffin cases. 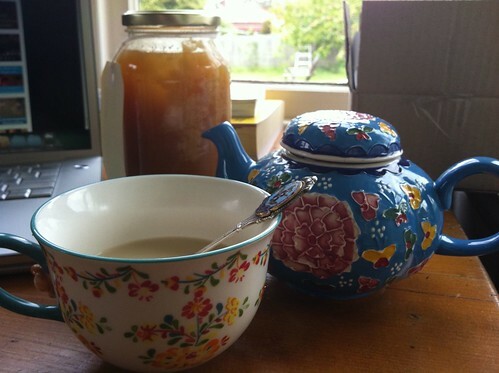 And I love your teapot, stunning colours. I often think it would be nice to have the time to hand make everything, but then who would be left to be mummy? !